Another reason of many Java programmers going for Spring certifications in recent months is the announcement from Pivotal on 10th May, which removes the mandatory Spring training from the certification path. This means you can now give Spring certification without attending any of their expensive training courses. Since many developers pay for certification from their own pocket, this move has a great impact worldwide as it has reduced the cost of Spring certification from whopping 32000 USD to just 200 USD. Even though I agree that the training provided by Pivotal and its partner e.g. SpringPeople in India is top quality and probably the best way to prepare for Spring certification, they are certainly not affordable for many Java developers, unless their company is paying for them, 50000 INR is certainly a couple of months salary for a fresher or intermediate Java programmer in India. Programmers are also like to prepare through self-study, they want to prepare at their own pace and whatever material currently available and that's why Pivotal's announcement of removing mandatory training from Spring certification path has regenerated more interest on this valuable certification. So, when you decide to prepare for Spring certification by self-study, it's important that you choose the best resource to get the best result. Just like Java 8 certifications, you need a study guide, a good book, and a great mock exam simulator to crack the Spring certification. Some of you may query, why do you we need a book if you have got the study guides e.g. Pivotal Certified Spring Professional exam? Well, I recommend both of them because Study guides will cover everything in the syllabus and also provides you material to prepare for topic-wise but a book will give you all practical knowledge you need to justify your certification in the real world. In this article, I'll share some of the Spring books which are great for preparing Spring certification. Many Spring online training are also based upon these books, hence they also compensate your lack of experience and lack of any training. Here are some of the best books to prepare for various Spring certifications e.g. Spring Professional Certification Exam, Spring Web Application Developer Exam, and Spring Integration Specialist Exam. 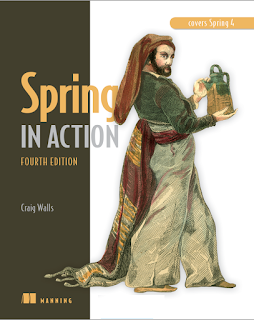 This book covers most of the topics required for Core Spring and Spring Web Application Developer exam, so it is must read for anyone preparing for Spring certifications. The official Spring Enterprise training is based upon this book, So, if you can't afford the official training, you can buy this book and go through it. 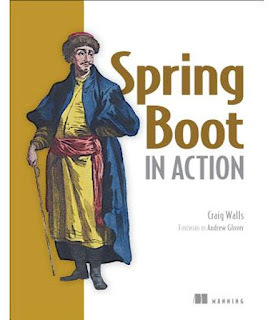 This is a great book to learn Spring boot, which makes writing Spring MVC application super easy. 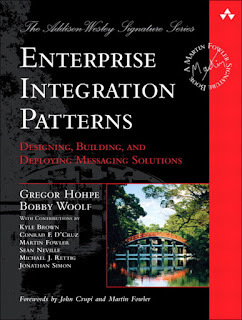 This is an additional read for preparing Spring Web Developer Certification exam. That's all about some of the best books to prepare for Spring certifications. Depending upon which certification you are preparing, you can read this book in conjunction with a study guide to get the best of both world i.e. you will not only learn the Spring framework e.g. core, web, or enterprise integration but also get a certification, which will help you in your job and career. Thanks for reading this article so far. If you like these books and found them useful for preparing for Spring certifications then please share with your friends and colleagues. If you have any other good books to add to this list, please drop a comment.